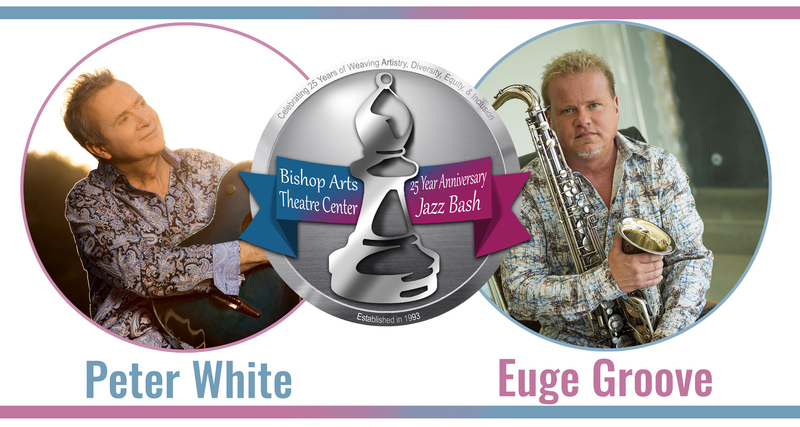 Groove the night away to the jazz sounds of Peter White and Euge Groove as we celebrate our 25-year anniversary. These two jazz favorites are guaranteed to have you on your feet from the moment they hit the stage. A VIP Reception and Silent Auction will start the evening in the lobby of the beautiful Moody Performance Hall in the Dallas Arts District. Bid on unique jazz memorabilia, exotic vacations, one-of-a-kind pieces of artwork, and more. Join us for a night of fun and have the satisfaction of being a part of the BATC legacy.